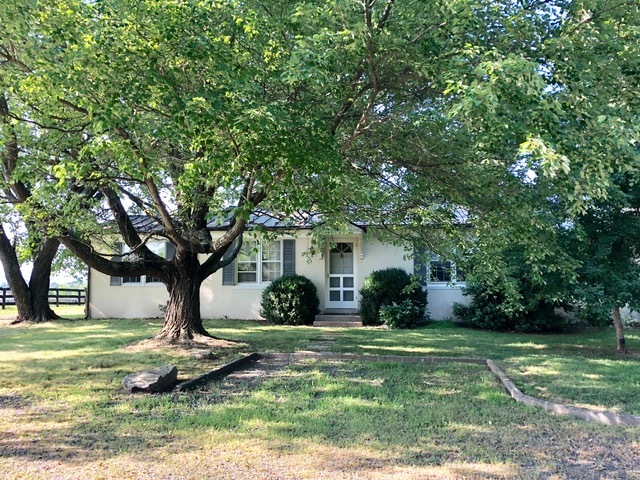 Apartment Rental in The Plains ~ One-level living in renovated, stucco end-unit apartment on a large horse farm between The Plains and Middleburg. Features 2 Bedrooms & 1 Full Bath along with an open Living Room and Family Room. Updated Eat-in Kitchen, with separate pantry, stacked W/D closet and back door to back garden area and fenced-in yard. House is located in the barn area of the farm with another adjoined apartment and Landlord’s house is nearby. No dogs. References, credit report and Security Deposit required. Potential stalls available.